We are currently participating in RSPCA’S Operation Wanted. This is a program designed to encourage pet owners to desex their pets. As a part of the campaign we are offering 20% DISCOUNT ON DESEXINGS up to the 31st of August 2015. Why do we recommend you desex your pet? Prevent unwanted litters- raising litters can be costly and there are huge numbers of unwanted, stray animals being euthanased each in Australia. Prevent uterine infections and mammary tumours in females. Minimise the risk of cat fight abscesses and FIV (feline aids) in male cats. What’s involved? A surgical procedure under anaesthetic to remove the testicles (males) or ovaries and uterus (females). It involves a day stay in hospital (I.e. your pet is usually home the same day). When should we desex our pet? We generally recommend waiting until they are 5-6 months old but they are never too old to have it done. It is best to desex females before their first heat to minimise risks mammary tumours. My dog/cat is on heat can it still be done? Yes, but is more complicated and carries higher risks so it is generally advisable to wait until after the heat has ended. 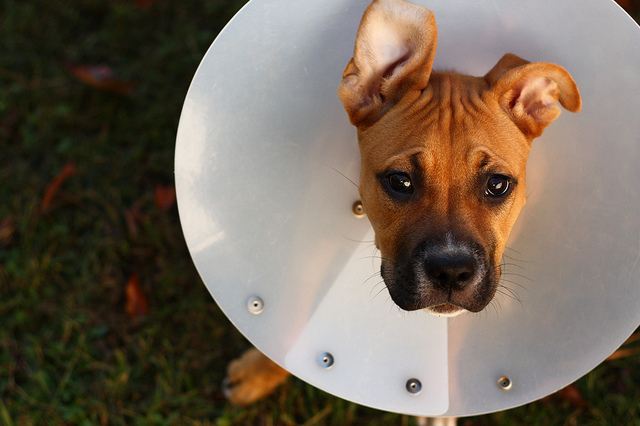 Will desexing affect my pet’s personality? Your pet will retain their personality but may become calmer and less aggressive. Should my female have one litter first? Medically it is actually better for her not to have any litters before being spayed as it reduces her risk of mammary tumours to almost zero. Will it cause my pet to become fat and lazy? There is no reason your pet can’t maintain a normal weight once desexed. Appropriate levels feeding and adequate exercise will prevent any problems. Your pet will not become lazy but males may be less inclined to roam. Will my dog lose its “guard dog” instinct? No, territorial instincts are natural instincts and will be retained. If your dog is trained to guard it will still guard. Got more questions or want to book in? Call us today on 4779 5222 to speak to one of our friendly nurses.